An auto/truck tires treatment system has been engineered, realized, supplied, installed and started-up at one of our customers in Slovakia. 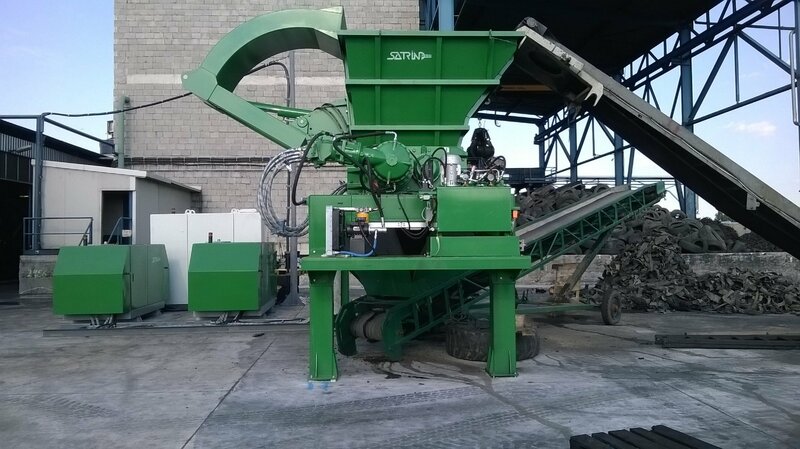 Mainly composed by our hydraulic driven two-shaft shredder mod 2R 15/300/HT, equipped with a hopper with hydraulic ram, the plant allows the shredding of 10 ton/hr of not debeaded auto and truck tyres, loaded alternatively by means of conveyor belts and/or crane. See the video of the running system.